Banana bread or cake is an all-time family classic that unites both young and old around the table in happy munching and appreciative glances. However, most recipes often use refined sugar, butter, and conventional flour. This Paleo interpretation forgoes both of these and is full of flavor. It is suitable for any occasion and lets you indulge, regret-free. 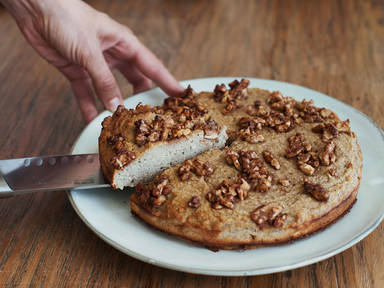 Whether you are a sworn Paleo fan or just want to enjoy a healthy treat, this soft banana cake, from Nico and Michaela Richter of Paleo 360, is for you. Watch the video for the full recipe!